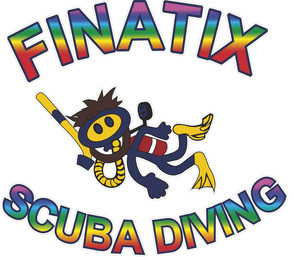 ​Finatix Scuba Diving is an independent PADI (Professional Association of Diving Instructors) Scuba Diving Instructional and Learning Academy serving Palm Beach Country and in particular the West Palm Beach and surrounding areas. We provide outstanding scuba diving lessons and experiences utilizing the very best and proven scuba diving teaching/learning methodologies and equipment. We cater to almost every age group (from 8-80 years old) and will tailor a snorkeling/scuba diving experience to suit every individual we serve. Whether you are a beginner looking to wet your gills and tip the toes in the water or a certified diver wishing to further your Scuba Diving techniques and certification we can assist you. Tammy can guide you through your Scuba Diving Adventures effortlessly at extremely competitive prices. We also have a wide selection of Snorkeling and Scuba Diving Rental Equipment including tanks, weights, wet suits, BCDs, regulators, fins, snorkels and masks. You’re Scuba Diving Adventures and learning experiences will be second to none. Our range of services are extensive including PADI Scuba Diving lessons, Instruction and Certification to all Recreational Diving Levels, Private Dive Guiding at the World Famous Blue Heron Bridge and/or Florida’s famous Ocean Drift Diving, Discover Scuba Diving Classes, Blue Heron Bridge Photographic Excursions, EFR (Emergency First Response) and DAN (Divers Alert Network) First Aid courses that cover Adult, Child and Infant Basic Life Saving techniques, AED, CPR Hazardous Marine Injury and Neurological Assessment training. We also teach and can certify candidates as DAN and/or PADI Oxygen Providers. These DEMP courses (Diver Emergency Medical Provider) are aimed at Good Samaritans and scuba diver both amateur and professional as well as Commercial, Law Enforcement and EMS Applications. Finatix Scuba Diving also offers a wide variety of PADI Scuba Diving Specialty programs such as Underwater Photography/Videography, Drift Diving, Deep Diving, Ocean and Reef Conservation, Enriched Air Nitrox, Scuba Gas Blending, Underwater Navigation, Boat Diving, Wreck Diving, Night Diving, Search & Recovery, Peak Performance Buoyancy and The Newly Designed Blue Heron Bridge Distinctive Specialty. Our focus is on exceptional Customer Service and follow up that provides very student with not only Outstanding Diving Experiences and Skills that will carry them worldwide but, a friendly, inviting, safe and supportive environment in which to learn the very best scuba diving practices available. We have a trusted and long affiliation with select Local Professional Dive Charter Operators that enable us to offer the best of South East Florida’s Famous Drift Reef and Wreck Diving on a variety of Dive Charter Boats specifically designed for Scuba Diving in our local dive conditions. Start or complete your Scuba Diving experience here in the warm tropical water of South East Florida with Finatix Scuba Diving serving Stuart, Jupiter, Juno Beach, North Palm Beach, West Palm Beach, Palm Beach Gardens, Palm Beach Lakes, Wellington, Boynton Beach, Delray Beach and Boca Raton in Florida.